The polyglot Igor Klekh is an extraordinarily erudite and accomplished Russian writer, journalist, and translator, whose formative years were spent in Western Ukraine, mostly in Ivano-Frankivsk and in the multi-cultural city of Lviv where he had access to the literature of East-Central Europe. He currently resides in Moscow. His complex prose style has been compared to that of Jorge Luis Borges and Bruno Schulz, whose novellas he was among the first to translate from Polish into Russian. He has authored seven books of prose, essays, translations, and literary criticism and has been a frequent contributor to the best Russian literary journals including Novyi mir, Znamya, and Druzhba narodov. His works have earned numerous prizes including the Alfred C. Toepfer Pushkin Prize (1993), the Yury Kazakov Prize (2000) for Best Short Story, and the October Magazine Prize (2000) for his book on the artist Sergei Sherstiuk. His works have been nominated for the Russian version of the Booker Prize twice (1995 and 2012). Adventures in the Slavic Kitchen: A Book of Essays with Recipes is a cultural study of the role food plays in the formation and expression of a nation's character. 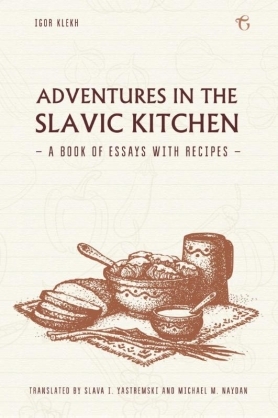 It focuses primarily on the Russian and Ukrainian kitchens but discusses them in the context of international food practices. His prose works have been published in English translation under the title A Land the Size of Binoculars (2004) by Northwestern University Press.